It's no secret that real estate investors love to find ways to save when it comes to taxes. Heck, I'd say any investor who makes a profitable investment would love it if they could somehow cut down on some of the taxes that they have to pay in order to keep more money in their pocket. 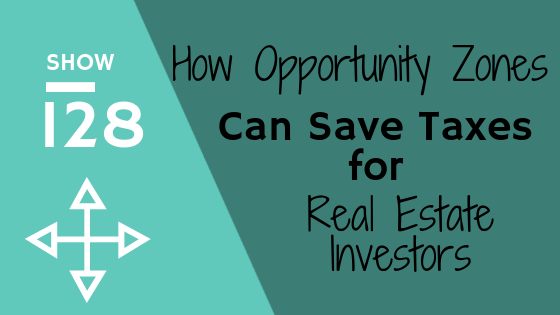 And if you've been around the block in the real estate investing niche for some time then you've probably heard of things like a 1031 exchange. Which in essence allows investors to defer their need to pay tax when they take their gains from the sale of a property and roll those gains into the acquisition of a "like-kind" property of a higher value. This tax deferment plan has been around for some time and is definitely a great way to take advantage of using capital gains to grow your investing portfolio. ...I"m particularly excited about this new opportunity that was established in the new tax code that was adopted in December of 2017. As a real estate investor, we have an exiting chance to not only save on taxes from gains but also spur economic development in areas that could use a little boost. According to the new tax code, investors can choose to take the gains from the sale of any investment (real estate, stock, bonds, business, etc) and use those gains to invest in real estate or business in selected areas of the United States called opportunity zones. These opportunity zones (which you can see on a map by clicking here) have been determined as places that could use some economic boost and as such have been chosen to allow investors to reap some benefits if they choose to invest their capital there. How does the Opportunity Zone save me with taxes? If you would decide to invest in one of these so called opportunity zones as a long term investment you will have the chance to save in how much tax you would actually have to pay on the gains from the sale of your original investment. For instance, if you make an investment in one of these zones and hold onto the investment for longer than 5 years there is a 10% exclusion oft he deferred gain. Even more if you hold the investment (in the zone) for more than ten years than you will have the chance to not have to pay any tax on the gains that you had made. In this week's podcast episode, Kirk and I break down what we have learned, so far, about this new opportunity for investors. We are in the early stages of learning about it and also in the process of setting up the qualified opportunity fund which we need in order to hold the money we plan to use to invest.